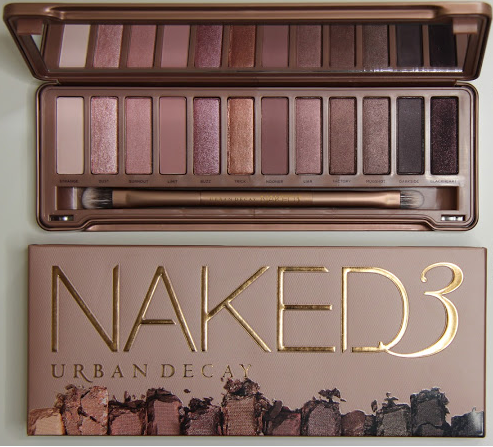 As you've probably seen and heard, there's a big buzz about all three of Urban Decay's Naked palettes. First was Naked, then Naked 2, and recently the Naked 3 was released. Last weekend, I contacted my friend Saraia, to test the latest palette from Urban Decay. Because I'm a big fan of many products from the Urban Decay line, I was curious to find out how the palette could work for medium to dark skinned women. 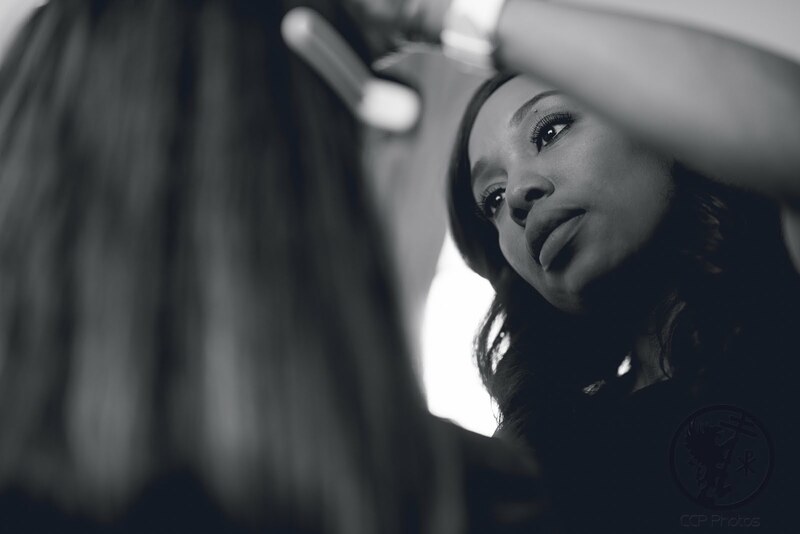 The palette contains some warmer shades and tones that can work for darker skin without making the skin look ashy. 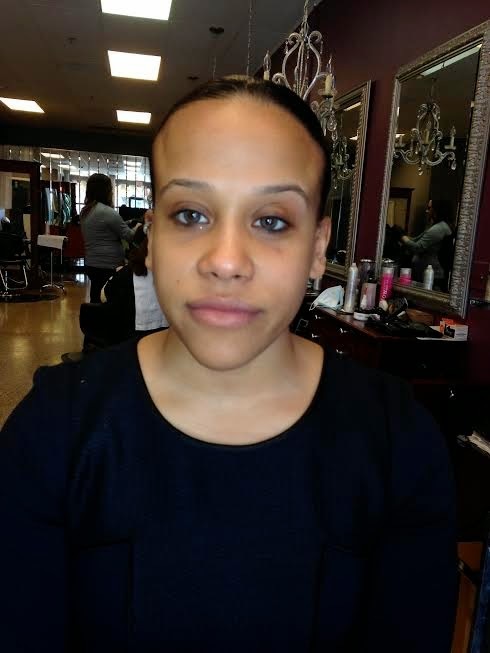 After I airbrushed Saraia’s foundation (see photos below), I proceeded by using mainly three colors from the palette, and I added a little matte black eye shadow from a different brand to create a softer day look. 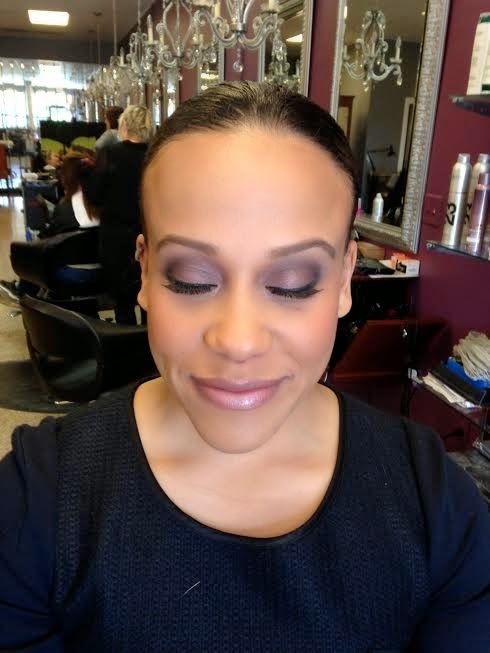 For darker skin tones, it is often necessary to add a little black eye shadow to contour the eyes in order to really see the contrast in the eye shadow colors. 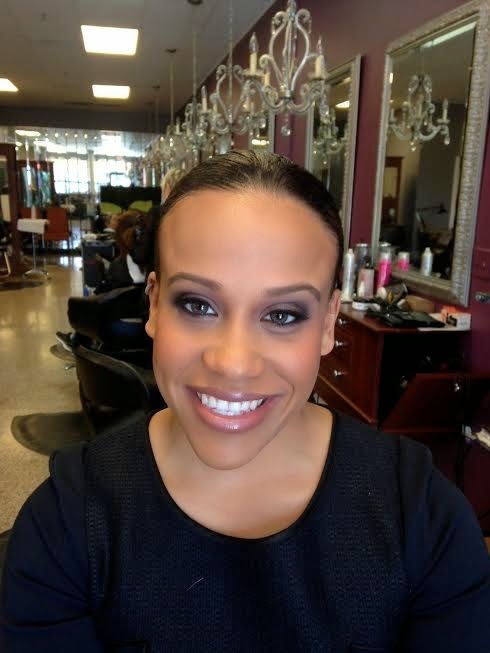 Sarai was happy with the end result, as was I. I finished her look by adding a little blush, some bronzer, and of course some false eyelashes, and voila! Here's a little update I'd like to share with you! 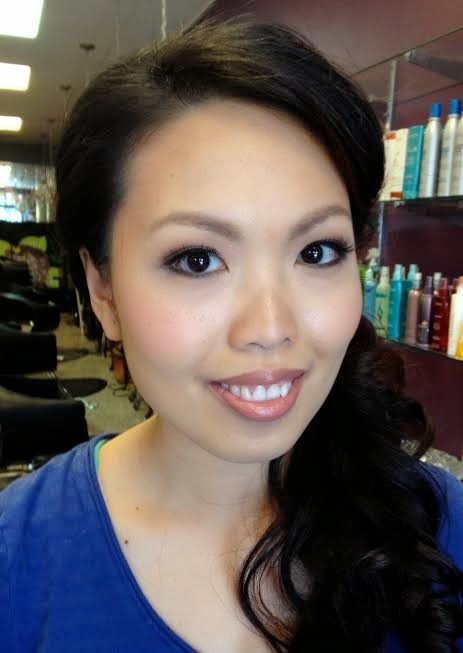 Last weekend I had the pleasure of performing a makeup trial on Jenny, who is getting married in May. 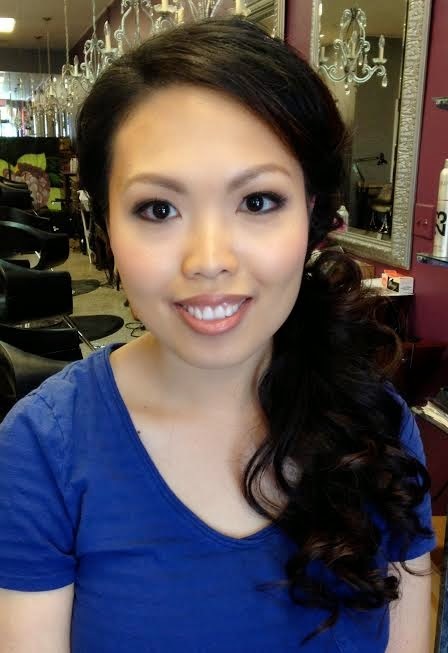 Like many brides, she wasn't sure how she envisioned herself with makeup on her wedding day. The only thing she told me was that she wanted a soft look, with a hint of a glow. This look just happens to be my specialty! 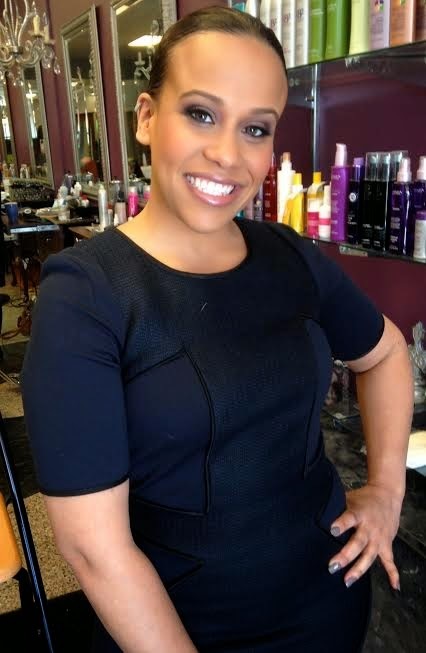 I created a look for her based on the information she gave me about her own personal style, and some details about her unique wedding day. She told me that she would be wearing a traditional Vietnamese dress in the morning, which was red, and a white Western dress in the afternoon. How pretty! 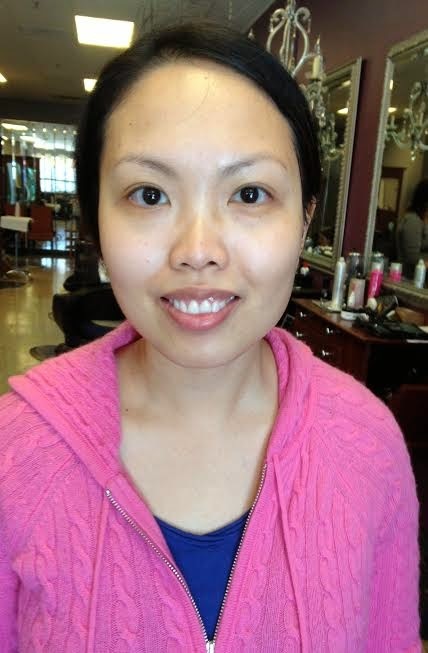 Her makeup has to last a very long time, so I definitely went for airbrush foundation (see this previous post on airbrush makeup to see why it's so great for long lasting wear) and I chose just the right color for her lips that would not clash with her morning red dress.